There are hundreds of different things to consider when embarking on your camper conversion and there are many factors that contribute to these decisions. I’ve been living in a van for 15 months now, and after completing my own camper conversion I feel (semi) qualified to address some of these options. 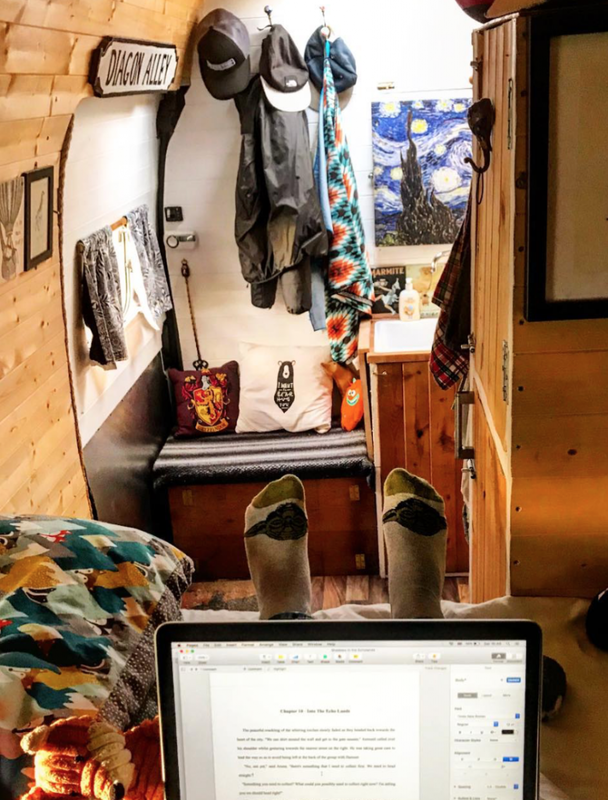 In this article, I’m going to make a list of ten of the most important things that I think you should consider when designing your own tiny house on wheels. Hopefully, you’ll pick up some useful camper conversion vanlife tips along the way! 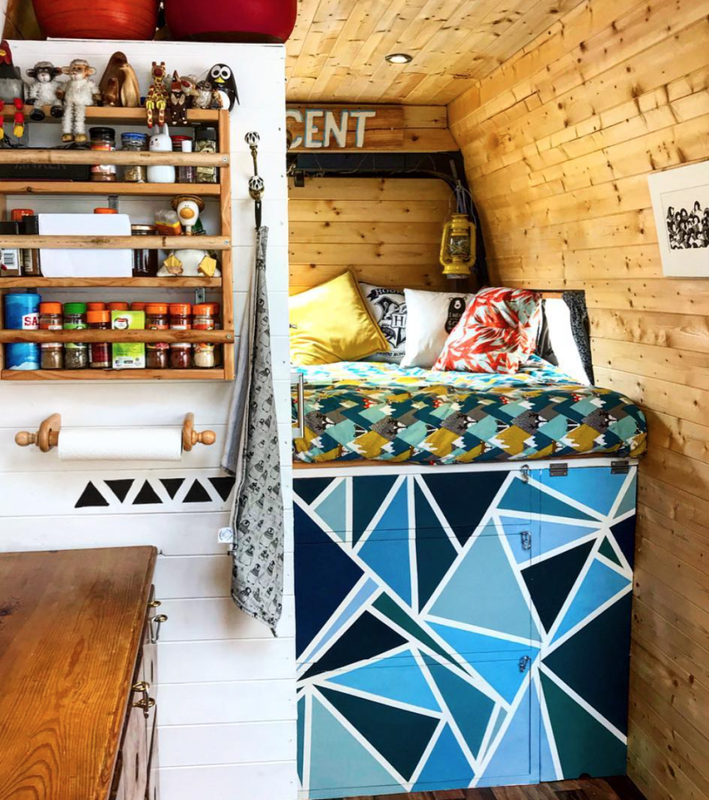 10 Topics To Help You With Your Camper Conversion! First up on our camper conversion list is… electrics! So where do you want to start? Firstly, think about what you need your van to be able to do. Is this going to be your full time home – does it need to be able to charge your laptop, camera battery, power a food blender and run a fridge? Or is this going to be a weekend van; will a simple 12V system to charge your phones and run the lights be enough for your camper conversion? Secondly, think about where you want to get your power from. Will you always be staying in a campsite where you can plug into the mains power supply? Maybe you ’re only going away for short periods at a time, charging your batteries at home before setting off. 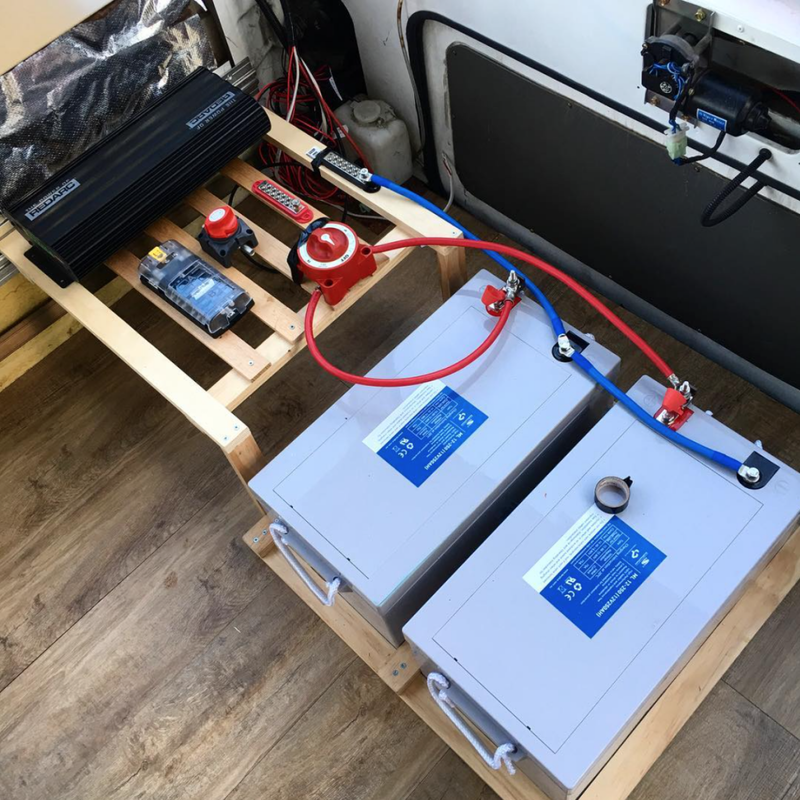 However, if this camper conversion is going to act as your full-time off grid home, or you want to be able to go off grid and still use electricity for long periods, you need to be able to generate your own power and become one of our top eco campers while you’re at it. Once you know what you want and need you can start to think about how to achieve this in your camper conversion. If you need to generate your own electricity then solar panels coupled with a split charge relay is an excellent way to go. But even within this option, there are many different types of solar panels to choose from. My advice would be to work out how much power you need to generate daily (if you’re a digital nomad then this should be no problem at all!) Build a spreadsheet detailing the wattage that all of your power usages comes to, then you can work out how much voltage you need. It’s not an easy process but working out what you need is half of the battle, then you can get drowns to the fun part of powering your adventure mobile. Check out our ‘How To Build a Camper‘ e-book (just £4.99!) for more in-depth instructions on how to work out how much power you need and how to instal a solar-powered electrical system. There are several options for heating your camper conversion – a propex heater which is powered by gas, a diesel heater which hooks up to your van’s fuel tank, or a small log burner. 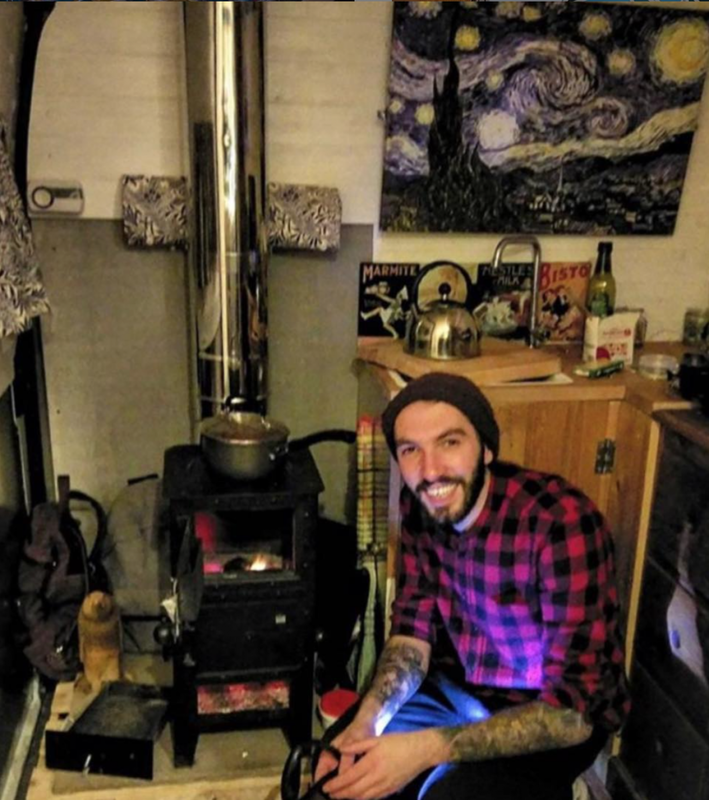 Our alternative living camper conversion started its life with a log burner, and we loved it. It was cheap to buy, easy to use and install, heated the van well and looked great. However, when we came to ensure the camper we couldn’t find any reasonably price companies to ensure it as well as having full European cover. Other downsides to this method of heating are no instant heat; the need to carry firewood or coal; limited control over temperature; not practical for heating your camper conversion for short amounts of time and taking up a significant amount of space. Once we removed our fire, we installed a diesel heater. The heater itself is about 30cm long by 10cm high and wide so is very space efficient, ours sits within our bench unit. It uses minimal diesel, you don’t even notice it, and the same can be said for the electricity usage. It heats the entire van quickly and can be set on a timer- pure luxury! Diesel heaters are a significant bit of kit; the only downside is that they are pricey to buy and install. Ours cost £500 and a further £200 to fit, and we have one of the cheaper models. If this seems too expensive for you, a slightly cheaper option would be the propex gas heaters. These work in a similar way to the diesel heater but run off of gas, not diesel. These units still heat your van nicely but use more gas and create a slightly damp heat. When travelling in a camper conversion for long periods, there is nothing more apparent than how much water is used on a day to day basis! Not only for drinking but for washing up, cooking, brushing teeth, washing your face etc.- it can disappear pretty quickly! There are two main options for water storage. 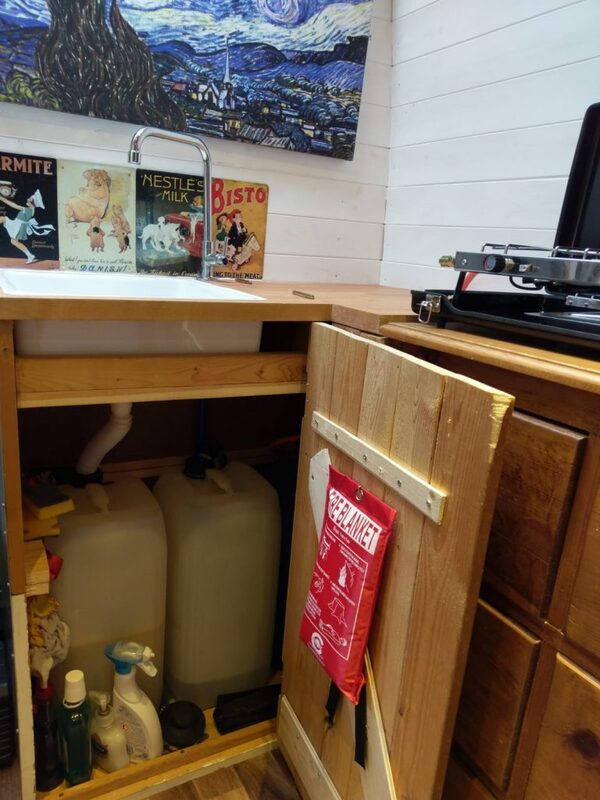 Super simple under sink water containers, one fresh and one for ‘grey’ water, or larger water tanks, slung under the body of your van. Underslung water containers can give you a more considerable amount of water but are, however, much more complicated to install DIY style and also harder to fill up on the go as it can’t be removed. You can either plumb your tap in using a foot pump or you can fit a 12V water pressure system so water would come on, like in a house, with the turn of a tap. While a foot pump sounds a little old-fashioned, it is also another good way to conserve your water usage. If you think you might want hot water, you are also going to have to install a water heating system- but remember you can always simply boil a kettle! Camper conversion tip number four is the all-important ventilation! Living and breathing in a small space is a recipe for damp. This is something you really want to avoid at all costs! They key to this is ventilation. Make sure the design of your camper conversion allows a clear route for air to flow around. Condensation forms when hot air hits cold surfaces so ensure all exposed metal is covered in some way- trickier areas such as around the doors can be covered in auto carpet. If you have a fixed bed make sure that you leave air holes or allow some way for air to circulate beneath it so that it doesn’t get damp. If you can, install a heating vent beneath your bed as well as in your living area so that it too gets warm. Make sure that air can get into and escape your van, this could be through opening windows, a skylight that can open or a roof vent or fan. Everyone needs to go, so many people choose to have a porta potty in their van. The most common ones are chemical toilets with a cassette that needs to be emptied by hand down a toilet or at a motorhome service point. These are cheap, simple to use and take up minimal amounts of space; however, the chemicals aren’t great for the environment. 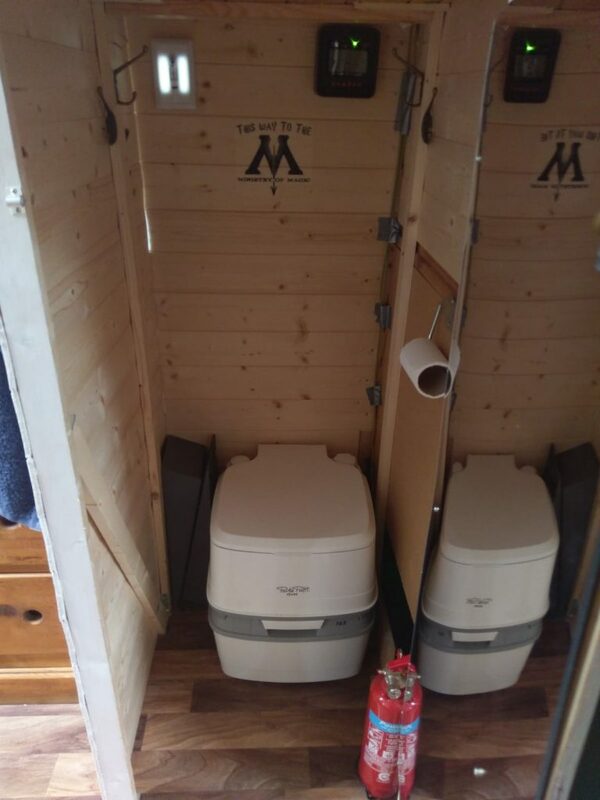 Another different for your camper conversion, if you want to be more eco-friendly is a composting toilet. These have two different cassettes for liquid and solids, and the fluid is easily emptied where the solids compost down and can be emptied less regularly. The third option is a chemical toilet that can be drained by a machine, this sounds like a great idea in theory, but in practice, you need to remember that this limits the number of places you can offload your toilet waste. 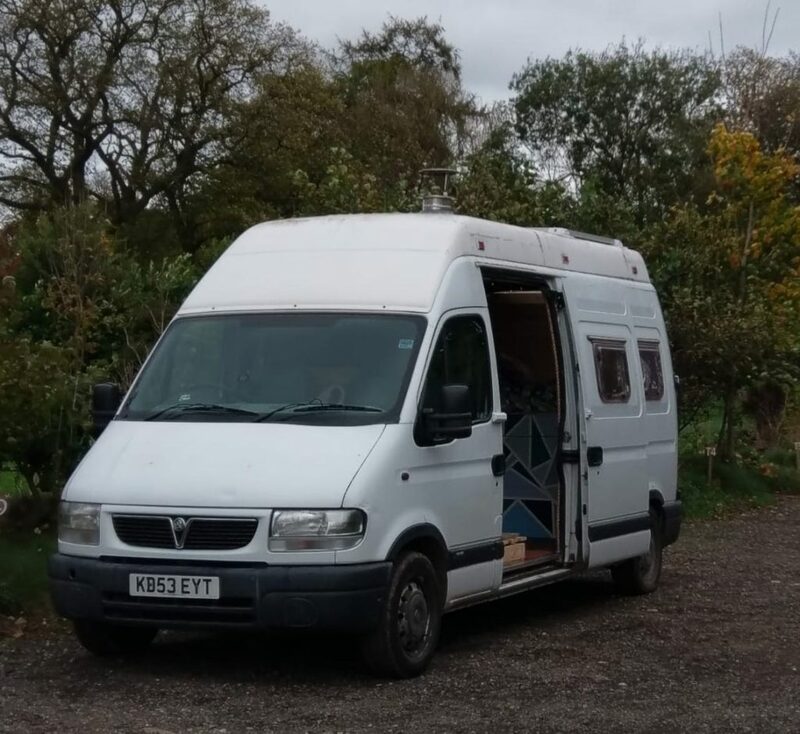 The weight of your camper conversion is an essential practical point that regularly gets forgotten as it’s illegal to drive your vehicle over its weight limit. You can weigh your van on a weigh-bridge- often found at tips and scrapyards and it is a good idea to do so throughout your build so you can track your progress. Also, the lighter your vehicle, the more fuel efficient it is going to be if you’re heading out on some top road trips. The two most common options are either a fixed bed or a bed that transforms into a seating area. The choice is down to is personal preference, there is no right or wrong answer if you’re living the van life full time. Some people love the extra space created by packing your bed away where others hate the idea of having to make their bed every day. 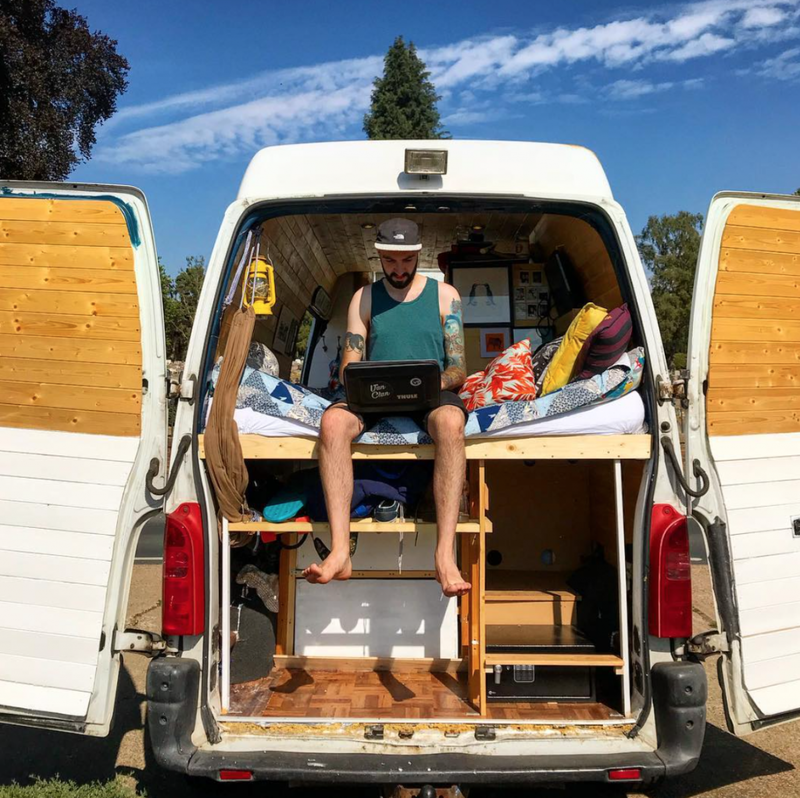 Again, think about what you want to use your van for- are you going to be living or travelling in it full time and how many people need to be able to fit in your camper conversion? Remember if you choose to have a bed that transforms into a seating area you are also going to need somewhere to store all of your bedding- duvets, sheets, blankets and pillows. Many people can’t imagine living without a shower, and there are many ways to include one in your camper conversion. You could make the best van to live in by building a full shower unit within your van, or you could create the mechanisms of a shower but have the actual shower head on the back door so you can use it outside when the door is open. If you don’t mind showering outside, there are many different portable showers you can buy which work just as well, often by heating the water from the sun. The more sophisticated versions of these can be mounted onto your roof. Remember that is you want a full shower system inside your camper you’re going to need to be able to carry enough water to use it and have an entire water heating system. Also worth thinking about are the wealth of public showering options available to you- gyms, swimming pools, beaches and campsites. Initially, when we had the fire in our van, we didn’t have a specific seating area. We just sat on the bed most of the time and also used some fold out chairs. 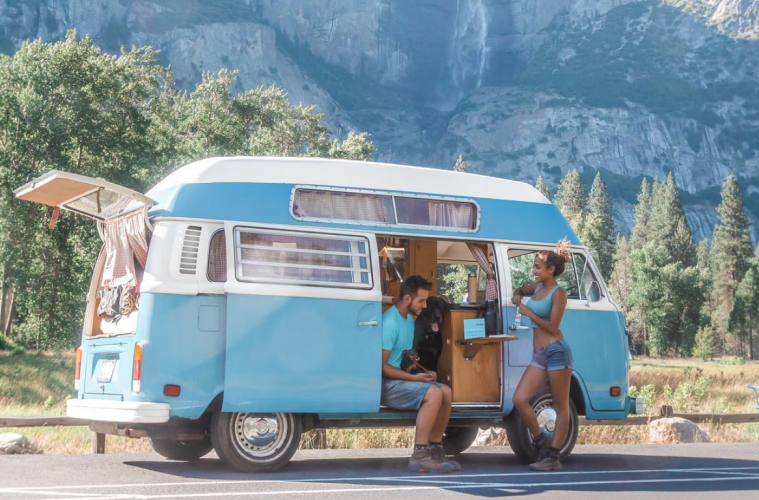 It’s something that we missed, and something that you should include if you’re thinking about long-term travelling in a van. Think about what you sit down to do on a day to day basis- eating, chilling, working. It’s nice to have a specific place to do this. Seating areas can be versatile and are most often used as extra storage as well as somewhere comfy to sit. It can also be convenient to have a table to use- can you incorporate this into your seating area somehow? Where can it be stored? 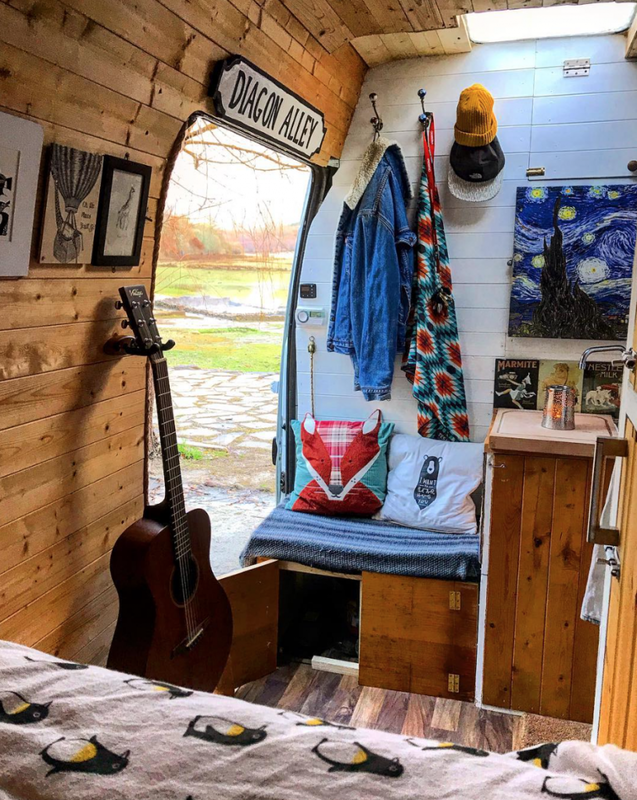 The legalities of camper conversion may sound like a bit of a boring point, but you don’t want to see all of your hard work go to waste by being made to change elements of your camper conversion post build. Different countries have different laws surrounding self-build camper conversions, so it is worth researching the laws in your own country. For example, in the UK you will need to re-register your camper conversion with the DVLA, so it is classed as a motorhome, not a panel van. To be able to do this there is a long list of requirements you must reach to be able to be classed as a motorhome. It sounds annoying, but it does work in your benefit as van life insurance is much cheaper for a motorhome as opposed to a regular van. So there we have it – ten things to consider when planning your camper conversion. I hope that you have found this useful and that it has sparked some questions and requirements that you hadn’t previously thought of when thinking about your camper conversion build. Good luck and happy converting!